Detailed information about Grand Hotel Les Trois Rois on PensionHotel. You will find the hotel description, prices, location, number of beds, available services, attractions. The hotel can be booked directly through the contacts or use the booking form. Before booking see availability Grand Hotel Les Trois Rois. 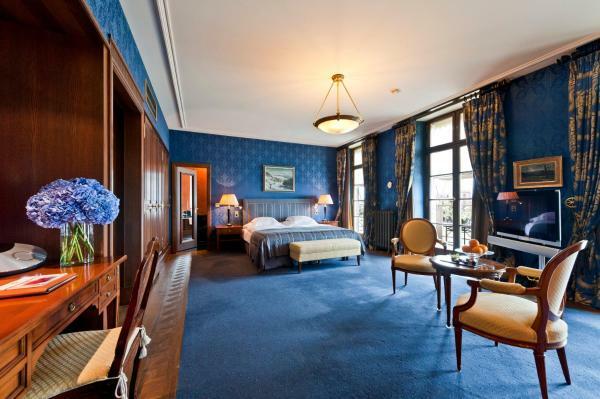 Situated in the centre of Basel's Old Town, on the banks of the Rhine, Grand Hotel Les Trois Rois is one of Europe’s oldest city hotels, where such personalities as Napoleon, Elizabeth II, Pablo Picasso, Thomas Mann and others have stayed. 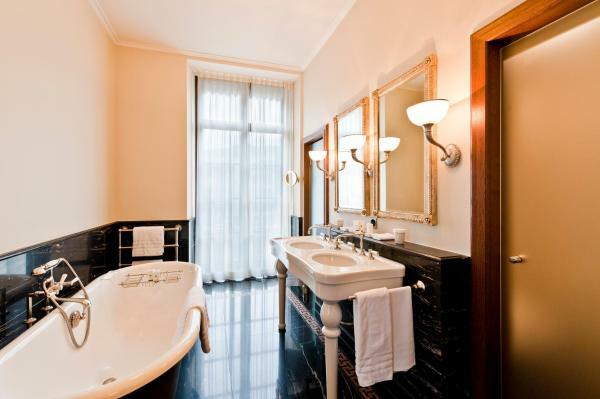 Rates at the Les Trois Rois Grand Hotel include free WiFi and wired internet access, free minibar use, a daily newspaper, access to the fitness centre, and the Mobility Ticket for public transport in Basel. The Cheval Blanc restaurant was awarded 3 Michelin stars and 19 Gault Millau points.